The Long March II-C carrier rocket carrying the experimental orbiter SJ-11-05 blasts off from the launch pad at the Jiuquan Satellite Launch Center in Jiuquan, northwest China's Gansu Province, July 15, 2013. China successfully sent the experimental orbiter into space on Monday, the Jiuquan Satellite Launch Center has announced. China successfully sent an experimental orbiter into space on Monday, the Jiuquan Satellite Launch Center has announced. 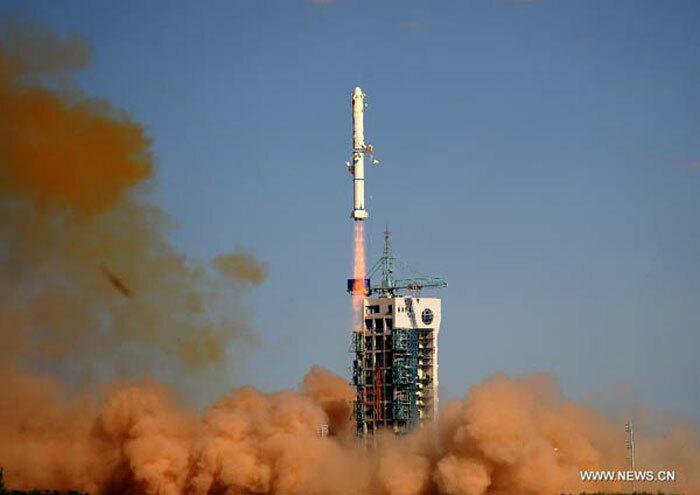 The orbiter SJ-11-05 was launched from the center at 5:27 p.m. Beijing Time on Monday and went into scheduled orbit, according to the center, which is located in northwest China's Gobi desert. The orbiter was carried by a Long March II-C rocket. It will be used to conduct spacial scientific and technological experiments.